The internet giant has made a deft move by proposing to buy Motorola Mobility after which it will be entitled for four times the number of patents that Microsoft and Apple jointly acquired. Google will spend $12.5 billion on this deal with which it will acquire 17,000 patents. If the application filed by Motorola works then Google will acquire around 25,000 patents. The approval of the board of directors of both Google and Motorola has been received. The two companies may contribute Google TV in terms of technology. Google was almost out of competition because of its poor patent portfolio, this move had become very essential for Google in order to build its patent portfolio. "This acquisition will not change our commitment to run Android as an open platform. Motorola will remain a licensee of Android and Android will remain open. We will run Motorola as a separate business. Many hardware partners have contributed to Android's success and we look forward to continuing to work with all of them to deliver outstanding user experiences." said Google's chief executive officer Larry Page, in his blog post. The market is now set to see innovative products and the patent war may end up in a win-win situation for every one especially for consumers. Google has received many common complaints which say that it is efficient with product development but not with customer service. This acquisition is likely to solve this problem. The major Motorola Patents included are key smartphone technologies including wireless email, proximity sensing, software application management, location-based services and multi-device synchronization and wireless communication technologies such as WCDMA (3G, GPRS, WiFi and antenna design. He further adds, “Google has the resources to shake up everyone else's business model if they so choose. Google can now undercut everyone if they choose in terms of premium handset pricing, go to the carriers with a different set of terms." Apple accident posted few purported images of Ipod 3G on its website but removed them later. As per a Vietnamese website the upcoming version of the Apple iPod Touch may eature 3G cellular network connectivity along with the WiFi option. The 3G Ipod will be able to use Apple’s cloud music service efficiently and will also get the much needed mobility while staying connected to the data network. Sources also reveal that developers have discovered the new OS 5 for Apple iPod devices. OS 5 features mobile network connectivity over 3G and Location services (GPS). Though Apple has not yet announced anything officially in this regard yet it is speculated that apple will soon release some information about this product. We may locate this device itself in action in 3G soon and till then let us eagerly wait for it. Captain cool of Indian Cricket, mahendra Singh Dhoni got engaged to his girlfriend, Sakshi singh Rawat, a student of hotel management, in Dehradun on july 3, 2010. The engagement ceremony took place without the media glare, only with close friends and reletives attending the ceremony. Harbhajan Singh and Ashish Nehra were also present in the engagement ceremony, which took place at Bhagirathi Resorts at Selaqui, 20 km away form Dehradun. Sakshi singh Rawat is a student of hotel management at IHM Aurangabad, maharashtra. The marriage date is still not known but it is being speculated that MS Dhoni and Sakshi singh Rawat may tie the knowt after the Australia series. We wish all the best to both to the couple! According to the available information Bihar State Police Recruitment Result 2010 will be announced soon. The results of Constable or Sub-Inspector result of bihar police will be declared shortly. Chief Minister Nitish Kumar on Friday announced that 12,877 constables and about 2000 sub-inspectors (SIs) would be recruited during the current year. Apart from that, 12,000 special auxiliary police (SAP) jawans would also be appointed. “This time the state government would recruit junior commissioned officers (JCOs),” Nitish Kumar said. Policing in the Modern era in Bihar began in the year 1862 with the introduction of the Indian Police Act of 1861. Following the creation of the province of Bihar in 1912, the basic structure of police as it exists today in the whole of India was laid. There have been several officers of the Bihar province in pre-independence India who have made pioneering contributions to policing in India. 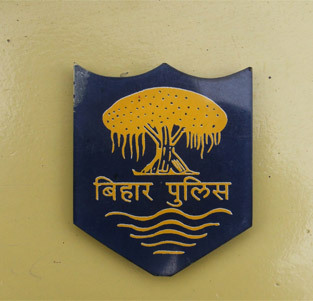 To know more about Bihar Police Recruitment Results 2010 you may visit the official website http://biharpolice.bih.nic.in/. According to information available on the official website of the CBSE (Central Board of Secondary Education), the board will announce the class 10th results 2010 today (may 28, 2010) at 10 AM. Class Xth exam 2010 results will be announced for all the regions. The CBSE has provided arrrangements for getting results on e-mail or SMS. According to the available information Central board of secondary education has will declare its Class 10th (Class X) board examination result on 28th May 2010. 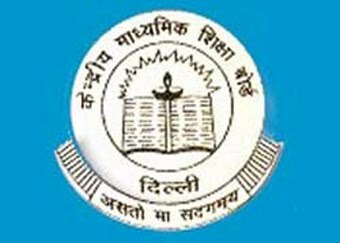 According to the available information Central board of secondary education declared its CBSE Class 12th board examination result for Delhi, Guwahati and Allahabad Regions. The CBSE Class XII board result 2010 is declared on 21st May 2010. Students may get their CBSE Intermediate (Class 12) board exam result from the official website. According to the available information Central board of secondary education has not yet declared its CBSE Class 12th board examination result for Delhi, Guwahati and Allahabad Regions. The CBSE Class XII board result 2010 will be declared soon. We will update you as soon as the results are declared. Keep looking this space for more information. According to the available information Central board of secondary education will declare its Class 12th Board examination results on 19th May 2010. The CBSE Class 12 board exam results are available for Chennai, Ajmer and Panchkula regions. Students may get their CBSE Board Class XII board exam result from the official website. According to the available information Uttar Pradesh Public Service Commission (UPPSC) declared its result for UP Police 35000 Constables Recruitment . The U.P Police Recruitment Result 2009 – 2010 are available on the official website. Candidates may get their UP Police Recruitment 2009-2010 result from the official website. Indian Certificate of Secondary Education (ICSE) will declare its ICSE Class 10th (Class X) board examination result on 19th May 2010. The ICSE Highschool (Class 10) result will be declared on 19th May at 3:00 p.m.
Students may get their high school result (class 10th) icse board from the official website. According to the latest available information Uttar Pradesh Madhyamik shiksha parishad (UP Board) will announce its Intermediate (Class 12th) results 2010 on 27th May 2010. The UP Board Class Class XII (Inter-mediate) result 2010 will be declared on 27th May 2010. The Up board Class twelfth Allahabad intermediate results 2010 will be available online as and when declared. Students may get their inter results up board from the official website. According to the latest available information Uttar Pradesh Madhyamik shiksha parishad (UP Board) will announce its Class 10th (High School) results 2010 on 1st June 2010. UP Board Class X (highschool) result 2010 will be declared on 1st June 2010. The Up board Class Tenth Allahabad high-school results 2010 will be available online. Students can get their high school results up board from the official website as and when they are declared. According to the available information Tamil Nadu State Board of School examination has declared its Tamil Nadu Higher Secondary examination (TNHSC) results 2010. TN HSC (Class Twelve) examination results 2010 will be available online. Students may get their TN HSC (Class twelfth) result 2010 from the official website. It is no surprise that Sri Lanka has recorded the highest growth in tourist arrivals during the first two months of 2010. A report of the United Nations World Tourism Organization (UNWTO) lists Sri Lanka with a 50 percent growth in tourist arrivals among 77 countries. According to the report, Sri Lanka outperformed 23 other countries with double-digit growth rates. Sri Lanka was followed by Saudi Arabia(+45%), Israel (+37%), Vietnam (+36%) and Nepal (+30%) fifth. Accroding to reports, in the year 2009, South Asia accounted for only 1.1 percent of total international tourist arrivals and the region earned around $15 billion in receipts from tourism with Sri Lanka earning $350 million and Maldives earning $590 million while India had the earning of $10.6 billion for the said period. With LTTE vanquished, many tour operators and Sri lanka travel agents have reported a steep rise in readymade products like Sri Lanka tour packages and hotel packages. Touted as Asia's most treasured island, Sri Lanka's diverse cultural and natural attractions have long been a favorite of European tourists. More recently the island nationa has been heavily wooing Indian, Arabic and Chinese travelers as well. Tourism is currently the fourth foreign exchange earner of the country, behind foreign remittances, apparel and tea. The Tamil Nadu HSC exam (Class XII) results 2010 will be announced on 14th May 2010 at 9:00 am. We will update you as soon as the Tamil Nadu HSE (Class 12th) results 2010 are declared. Keep looking this space for more information. According to the available information the Tamil Nadu Senior Secondary Leaving Certificate (SSLC) (Class Tenth) result 2010 has not been declared yet. The tentative week when Tamil Nadu (TN) Class 10th SSLC (Matric) result 2010 will be announced is 4th week of May 2010. The TN SSLC (class X) 2010 results will be available online. Students may get their Tamil nadu class 10th SSLC results from the official website. We will update you as soon as the Tamil Nadu SSLC results 2010 will be declared. Keep looking this space for more information. According to the available information Kerala Board Directorate of Higher Secondary Examination (DHSE) has not announced its Kerala Higher Secondary Examination (HSE) Results 2010. The tentative week when kerala HSE results will be declared is 2nd Week of May 2010. The kerala higher secondary exam (hse) result will be available online. Students may get their HSE (Class 12th) results from the official website. We will update you as soon as the Kerala HSE Class XII results 2010 are declared. Keep looking this space for more information. According to the available information Punjab School Education Board (PSEB) has not declared its middle school Class VIII results 2010 yet. The tentative month for the declaration of PSEB Class eight 2010 results is 2nd week of May 2010. The PSEB Class 8th (Class VIII) result 2010 will be available Punjab District name wise. The PSEB Mohali class eighth (Class 8th) result will be available online as and when they are declared. Students may get their results from the official website. We will update you as soon as the results are declared. Keep looking this space for more information. The tentative month for the announcement of JAC high school (class x) results 2010 is 2nd week of May 2010. The JAC ranchi class tenth (Class 10th) result 2010 will be available online. Students may get their Jharkhand board Class 10th (High-school) result 2010 from the official website. According to the available information the Karnataka Educational Board will announce its Pre-University Course (PUC) examination results on 10th May 2010. The Karnataka PUC examination results 2010 will be available online. Students may get their Karnataka Pre university course (puc) exam results 2010 from the official website. According to the available information Engineering Agriculture and Medicine Common Entrance Test (EAMCET) Hall ticket will be issued by JNTU Hyderabad from 30th May 2010 – 6th June 2010. The EAMCET hall-tickets will be issued on the above mentioned dates including holidays. EAMCET 2010 halltickets will be available online. Candidates may also download their EAMCET 2010 hall tickets from the official website. We will update you about any further information of EAMCET Hall Tickets 2010. Keep looking this space for more information.